As one of a few celebrations of everything Benny after 20 years on Big Finish; the character that launched their empire, they have assembled some of the best of the creative team behind Benny from over the years to give us two boxsets; set throughout her story… so far! It’s one we never thought we’d see, which is what Big Finish does best. This gap that they are filling in from the Doctors past? The 6th Doctors last adventure. 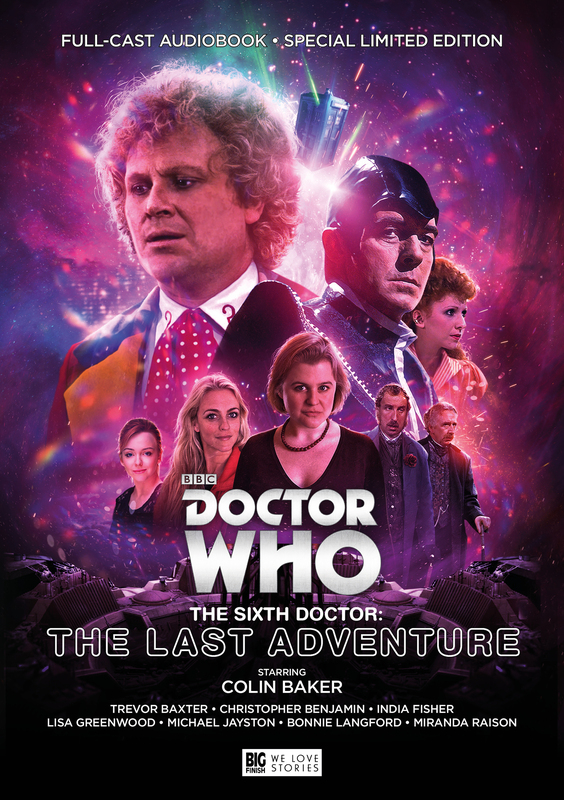 It seems like a problem that even though Colin Baker did not come back for his regeneration due to a disagreement with the BBC, one was written into Sylvester McCoy’s first adventure (queue Sylve in a dodgy wig!) But a little thing like that doesn’t stop Big Finish… but I’m getting ahead of myself. In a very familiar format to the 6th Doctors last on-screen adventure in Trial of a Timelord this story is divided into 4 parts. 3 stories from the Doctors past leading to the one set in the ‘now’. Again like the ‘Trial’ story the Timelord’s are meddling whilst claiming not to be and the Valeyard is trying to kill the Doctor.